Nice group of new hobs & you can't ever have enough Temple Dogs. I like the bottle design on the elite. Ever notice that guy shares Gyokurinti's body? I'm slowly working on the war wagon, it's a little cramped inside so I've added 'sniper' from the c36 range to it's roof. What a brilliant horde ! 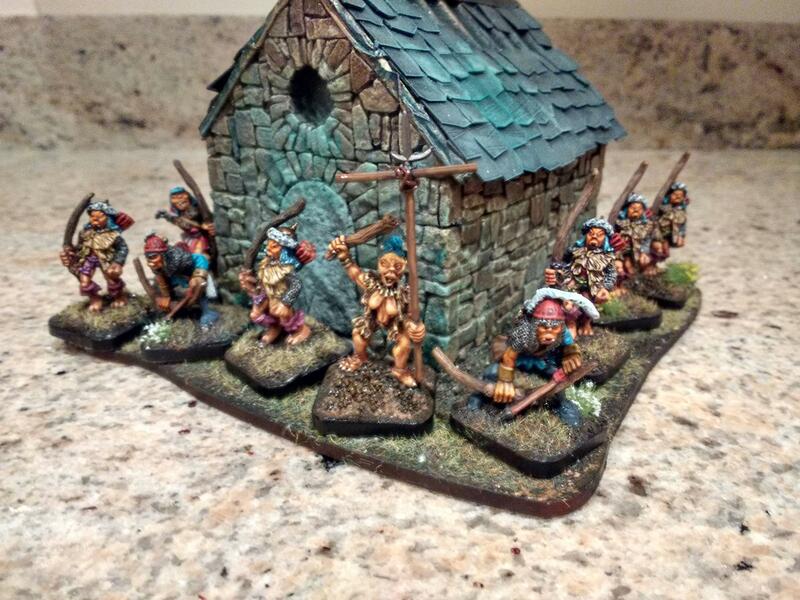 I'm starting myself an army of Hobgoblin from old citadel miniatures from the past. You are a great source of inspiration for me. Thank you !!! Do you have more pictures of your lovely army ? And why orange skin ? Hobgoblins are not green ? Niko wrote: What a brilliant horde ! I'm starting myself an army of Hobgoblin from old citadel miniatures from the past. You are a great source of inspiration for me. Hobgoblins are often portrayed as having orange-brown skin. Green skin was a GW creation, if I recall. Yes, 'orange' skin for me, like hobgoblins of old, militaristic tribes with an oriental theme, before they became big hat slaves. 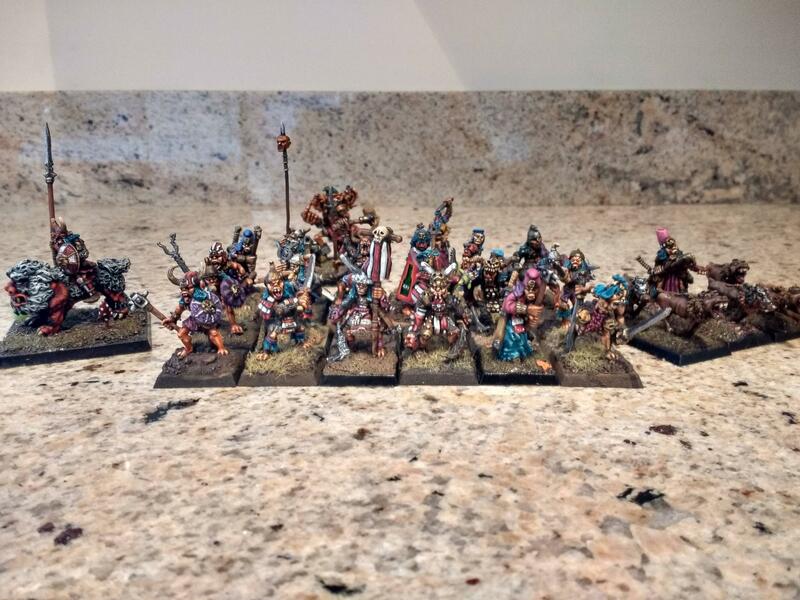 Been distracted with dwarves and skaven and frostgrave and dungeons, but I started back on them recently to build a Dragon Rampant force, so I've been touching them up, rebasing and adding new members, including a unit or archers, 10 down so far, the archer models are hard to come by, but I only need 12 for a unit in Dragon Rampant. I still have more to rebase, but for DR, 50 to 60 models is a good sized force for a 'horde' army.